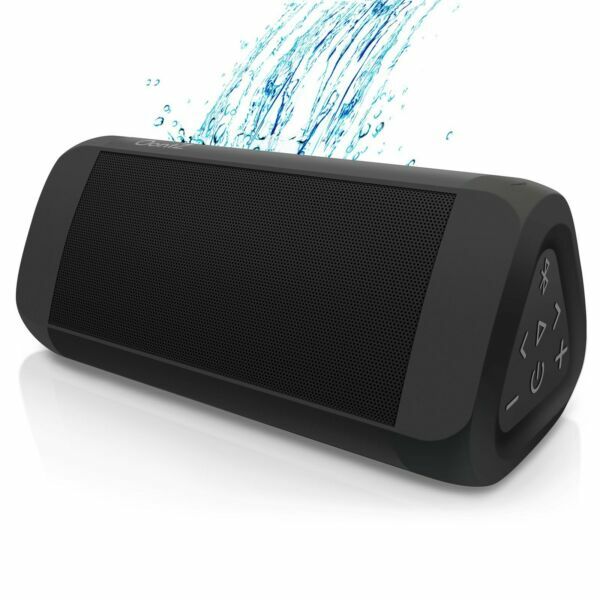 eBay Doing business on eBay since 2001 Premium Sound Portable Mini Bluetooth Oontz Angle 3 Plus Speaker 30 Hour 6 Inch Free Standard Shipping! 2 Day Shipping: $20.00 Next Day Air: $40.00 Product Details: Brand new Micro USB cable 3.5mm Audio cable 32 inches 30 Hour playtime Water Resistant, rainproof, but should not be fully submerged in water Superior sound and high quality Rich bass, distortion free Dual 1.7 proprietary drivers 4400MaH battery capacity Manufacturer: Cambridge SoundWorks Item is 13 ounces, and ships at 1.1 pounds 6.4 x 2.9 x 2.8 inches Use with tablets, phones, computer and TV's Ships UPS Surepost will reach you in 3 - 9 days. Ships from Reno NV Shipping We can only ship to the Continental United States. (48 states) Your order will leave UPS Ground, please provide a street address Please include your correct shipping address upon checkout. We are unable to change an address after a package leaves. All items ship from Ohio or Nevada, the listing will specify which location the item is located If you order today, your order will leave 1 - 2 business days 30-Day Limited Warranty If you have changed your mind, you may return this to us for any reason. If your item is damaged, or different than expected, please contact us through ebay messages We will be happy to assist with any question you have Contact Us Through Ebay Messages Only Office Hours Monday - Friday: 9:00 am - 5:00 pm EASTERN. Warehouse Hours of Operation Monday - Sunday: 6:00 am - 4:00 pm EASTERN. *Sales TaxFor shipments to Ohio addresses, we are required by State law to collect 6.75% Sales Tax.For shipments to KY addresses, we are required by State law to collect 6% Sales TaxFor shipments to NV addresses, we are required by State law to collect 8.265% Sales Tax .